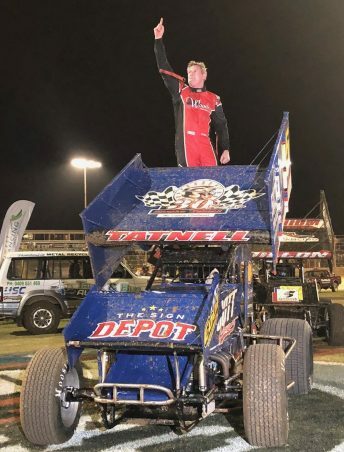 Veteran Brooke Tatnell needed a slice of luck, but is now perfectly placed to win a fourth Grand Annual Sprintcar Classic after taking opening night honours. In a night of carnage in front of a huge crowd at Warrnambool’s Premier Speedway, Tatnell held his nerve best to take the Friday night feature ahead of Kerry Madsen and Luke Dillon. “This is a sweet win, I’m thrilled for the team and the boys, this is a great reward,” Tatnell said after emerging from his race car. The 46-year-old performed a wing dance and then hugged his new boss Raymond Scott and his family, who gave Tatnell a three-week summer lifeline after he was dumped by Krikke Motorsport last year. Krikke’s new driver Jamie Veal was on track for a podium finish until a crash on the final lap continued his rough debut season with the team. The hard luck story of the night belonged to Robbie Farr. Craving a maiden Classic title, Farr led the first dozen laps of the final, but crashed heavily into a spinning backmarker to ruin his hopes. 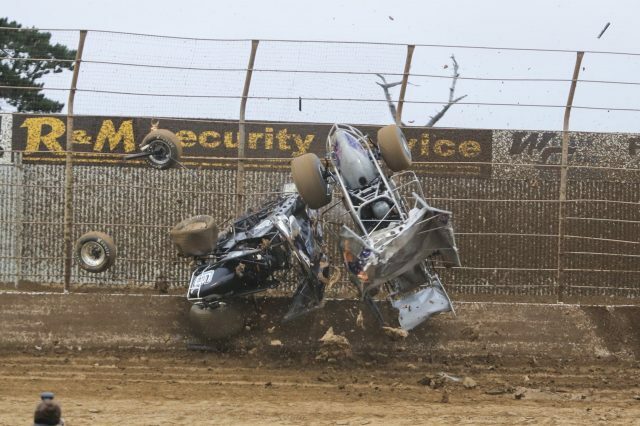 The biggest crash of the night came in Heat 10, with a vicious rollover involving 2014 Classic champion Tim Kaeding and youngster Rusty Hickman. Such was the ferocity of the impact, lengthy repairs to the catch fence had to be completed. Remarkably both drivers were able to continue, both advancing from the C Main, through the B Main and feature in the final. Defending Classic champion James McFadden spearheads the Saturday night card which splits the monster 111 car field in two qualifying groups. The top 96 cars then book their place in Sunday’s final night in a bid to be crowned 2018 Classic champion.